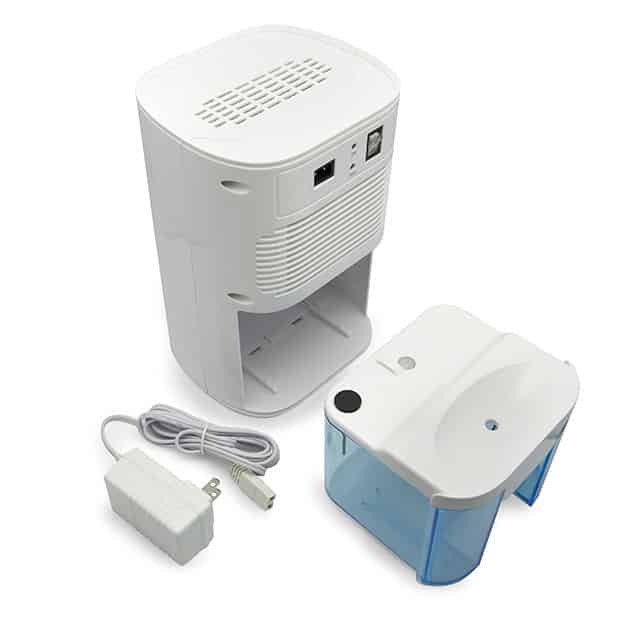 We all know how annoying it is when your dehumidifier keeps shutting off – right at the worst time! But why does it happen? And what can you do to stop it? 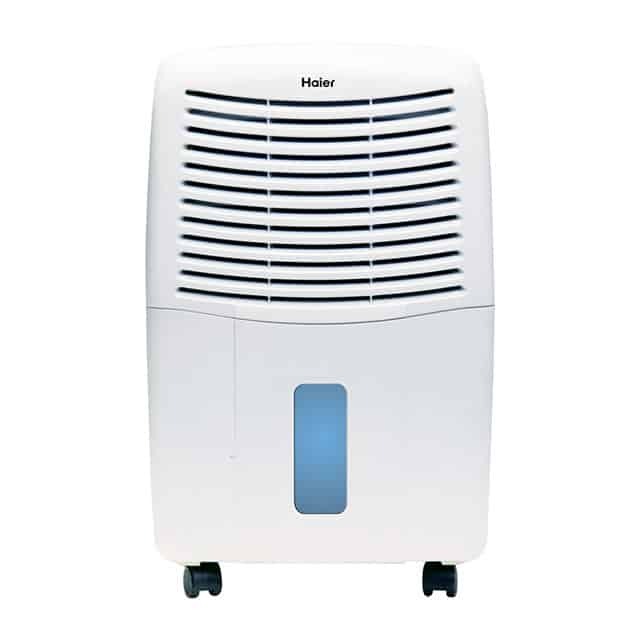 I’ve put together some advice about troubleshooting problems with your dehumidifier so you can work out exactly what is going wrong and make sure you can use your machine easily and efficiently. Whether you’re trying to get the moisture out of the air in a small apartment or just want to get rid of humidity in the middle of the hot season, read through this list and you’re sure to find the answer to your problem. Dehumidifiers, despite their clunky, low-tech appearance, are actually pretty complex machines. It includes both cold and hot parts as well as fans, coils and lots of moving parts that can need repairing or servicing. A lot more complicated than you first think, right? The unit basically works by using a compressor to draw the air in from your room through a filter. This air then passes over some cold coils which mean the water in the filtered air will condense – forming droplets that fall into the removable bucket. One the air is moisture-free, it is reheated and then blown back into the room. 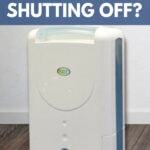 Understanding how a dehumidifier works can help you work out why it is going wrong – and fix it fast. There are tons of videos online, showing this in more detail about how exactly the working parts function, like this one. 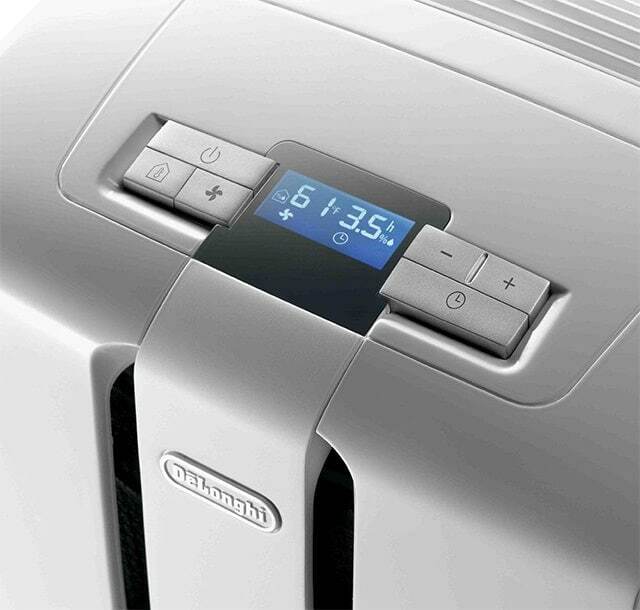 Something many people don’t realize is the effect that temperature can have on your dehumidifier. 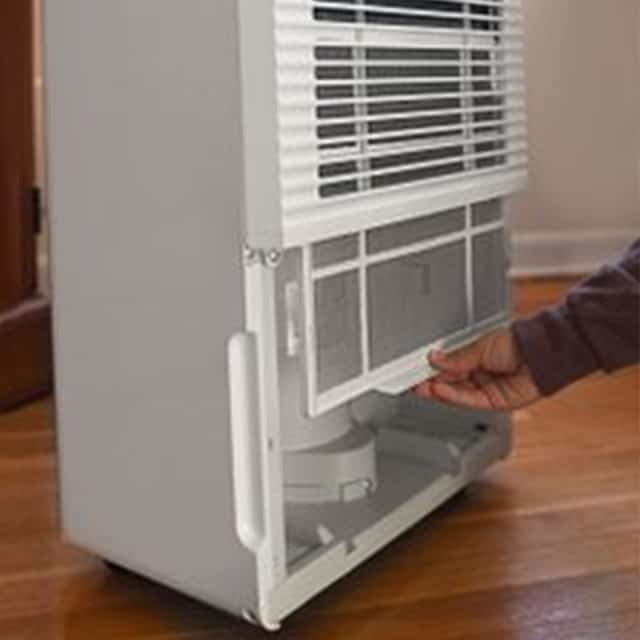 If your room is too cold (typically below 65 degrees) you may see frost form on the coils of your dehumidifier. This basically translates that instead of the moisture in the air condensing onto the cold coils to then drip into the bucket, the coils are too cold which means the water doesn’t stay liquid and will freeze over the coils. This can pose all kinds of problems to the inner workings of the machine so if you suspect this is the case then switch off the dehumidifier and then move it into a warmer area while you heat the room you need to dehumidify up to above 65 degrees. It could also be because the filter or mechanism on the dehumidifier has become clogged or broken. This is also easily fixed (see below). Keeping your filter clean and clear of debris can help your unit perform better but also reduce the risk of fires starting in your home. The third most common reason for machines shutting off is mechanical faults – such as the engine or electrical parts breaking down or it becoming overworked and overheated due to the vent becoming blocked. We’re going to cover some simple ways to check if you need spare parts later in the article. 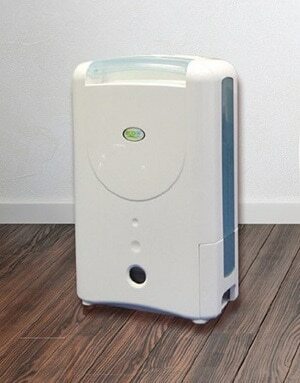 There are two types of dehumidifiers – desiccant or mechanical. A desiccant model uses a moisture-attracting substance, such as silica gel, to draw the water from the air. Mechanical models (which we will be focusing on) use a system of fans and coils. There is a great buying guide from Air & Water that sets out the pros and cons of different units. It can really help simplify things if you’re on the fence. So you’ve worked out that the unit is looking a bit clogged – what’s the safest and most efficient way to clean it?A dehumidifier has several detachable parts and by carefully removing these and giving them a thorough clean you can make sure your unit is in tip top condition. Before taking your unit apart make sure it is unplugged from the power. Remove the water collection bucket, empty it and wipe clean with a soft cloth (this should be done every four weeks to stop mildew growing inside the unit). Take the air filter off and check for any dust blocking it or any damage which would prevent it from working properly. Remove the outer cover so you can see the coils. Taking a small, soft brush (similar to a toothbrush) carefully clean the coils brushing away any built-up debris or dust. Wipe the fan blades and examine the inside of the machine – does anything look out of place or missing? Once you’ve followed these steps, you can then reassemble the machine and test it out. 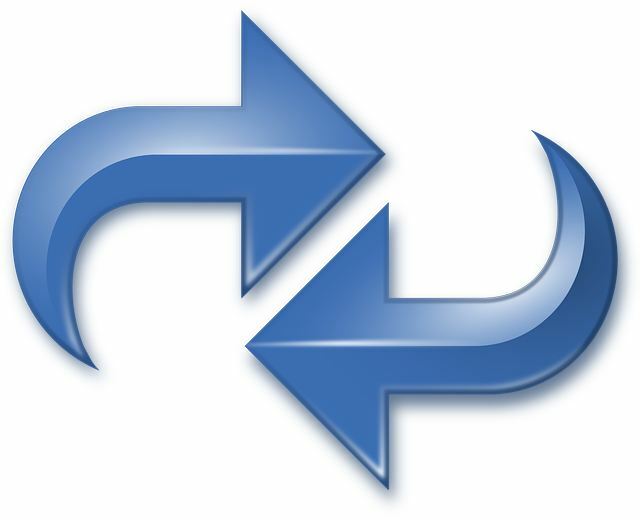 If everything seems to be running smoothly, then your problem should be solved! If cleaning your dehumidifier didn’t work, you may need a new motor or electrical repairs. While your unit is disassembled, check the fan motor and the blades by trying to spin the fan by hand – it should move freely and not hit any other part of the dehumidifier. There is a range of replacement parts available online and there is also a straightforward video tutorial which takes you through step-by-step and shows you how to carry out simple repairs on your unit. 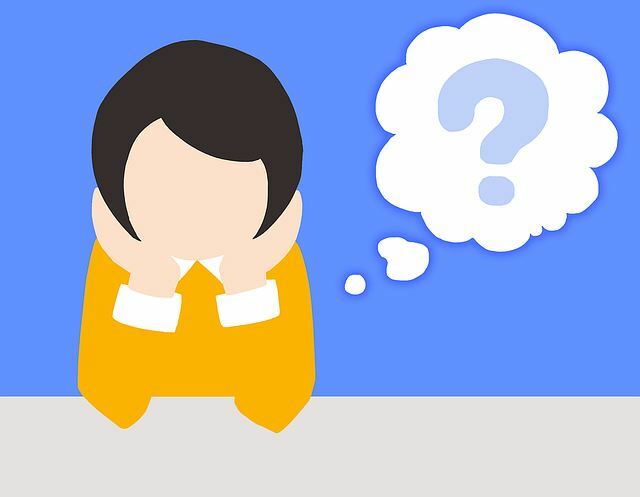 Check the temperature of the room – is it too hot or cold? Once you’ve gone through this troubleshooting info you’ll have your dehumidifier back up and running in no time. Bye, bye humidity! Did any of this info help you with your situation? If so, feel free to comment and share! Also, if you have any advice or success stories of your own, share those, too!